It’s undeniable, Lisbon is packed with cocktail and chill out spots, and they come in many shapes and sizes. Quirky, fashionable, trendy, old-school, thematic…you name it. With a little research you will find exactly what suits your fancy. Here is a selection of places we enjoyed the most. 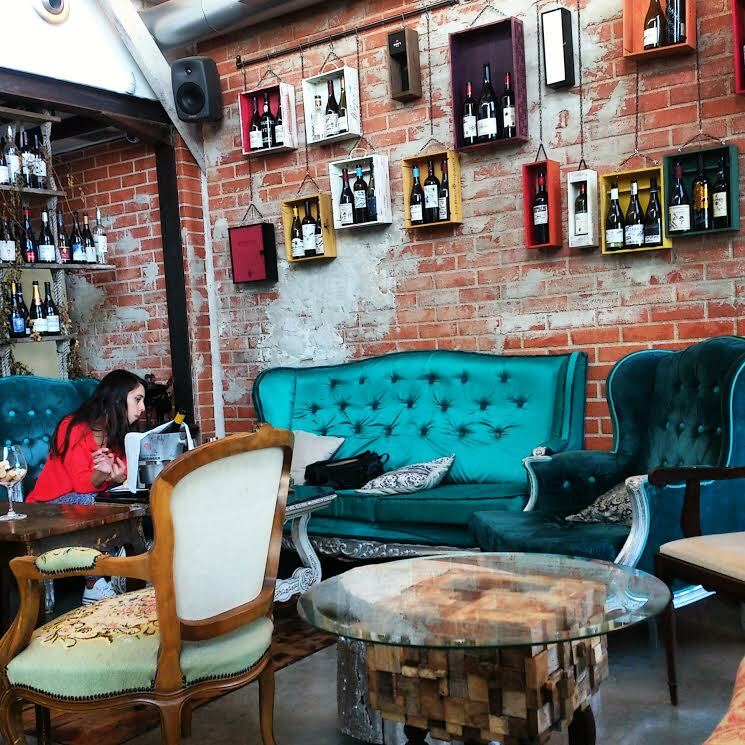 Vestigius, the wine bar with the vintage furniture and decor, it also has many beautiful art work which makes it feel like an art gallery. This is one of our favorite spots and perfect to visit during daytime or early evening hours. The location is at the trendy “face-lifted” area, Cais do Sodre, right at the Tagus River. There are seats outside where you can enjoy some great wine from the extensive wine list and light meals while gazing out at the open sea. Skybar, an open-air lounge located on the rooftop of Tivoli hotel at the fashionable area Avenida da Liberdade. The decor is very modern and you can sip a drink while enjoying the superb view over the city. This place is perfect for evening drinks after dinner, you can also catch the sunset from here. The clientele is a mix of locals and foreigners, most of the people were well dressed, but not in a formal way. We loved this place. Park, (earlier post) The locals hidden gem and an “it” spot in the summer time. It is basically a terrace with lounge and restaurant on top of a parking building. Hence the name. Its located in Bairro Alto and its clientele is mostly locals. We loved this place. Here you can sip on a cocktail while enjoying the magnificent view over the city. The clientele is trendy and young, the decor is cool and relaxed. We were there during daytime, but it’s apparently quite a hot spot during night time. Pansao Amor, located at the Cais do Sodre or “Pink street”, a bar lounge which was back in the days a guest house where prostitutes and clients could rent a room for a night. It is now transformed to a hip and unique bar, attracting a mix of clientele in terms of age and attire. So dress up, dress down…both goes. The decor is quite cool with mirrors and posters on the walls, separated spaces/rooms, dimmed lights, velvet curtains and paintings on ceilings, giving the place a burlesque-ish atmosphere. This is one of the most popular bars in Lisbon with superb drinks and is by far the most eccentric we have visited in Lisbon. Hotel Mundial, Rooftop bar quite similar to Skybar at the Tivoli hotel in terms of concept, atmosphere, and view. The biggest difference is perhaps that there were more foreigners than locals at the Mundai, which makes it slightly lacking the “local” charm. Cinco lounge,this spot is known for it’s cocktails. We had to check it out and see what the buzz was all about. Firstly, YES the drinks are pretty awesome, there’s an extensive cocktail menu with a list of eccentric drinks. This is a place worth popping by if wanting interesting and different mix of cocktails. If you do not drink alcohol, there’s a good selection of “virgin drinks”. The minus with Cinco is that it was small and very dark so it was difficult to even read the menu.